On Tuesday 27th November the Trust held The Premier League Enterprise Club Heats. Nine teams of up to five members, from participating schools, Baines School, St Georges School, South Shore Academy, Unity Academy and Montgomery High School, were tasked with answering a real life business challenge set by the Premier League. This year’s Challenge tasks pupils with developing a business plan and promotional campaign to increase the number of young adults (aged 18-23) following the club and attending matches. The Premier League Enterprise programme, run in partnership with Sport Relief and now in its tenth year, uses the business models of professional football clubs to engage hard to reach young people in educational activity. Delivery focuses on development of key skills to improve the future opportunities available following secondary school. The Enterprise Challenge is an exciting additional competition element of this provision. Over 900 young people participated in last year’s competition, and secondary school pupils representing 34 Premier League and English Football League clubs from all over the country will compete in this years’ competition, where they will look to progress to the Final in London in 2019. Each participating club hosts their own Club Heat to determine which team will represent them in the next stages of the national competition. Staff form the Trust worked closely with each of the teams for weeks prior to the Club Heat to develop their ideas and prepare their presentations. 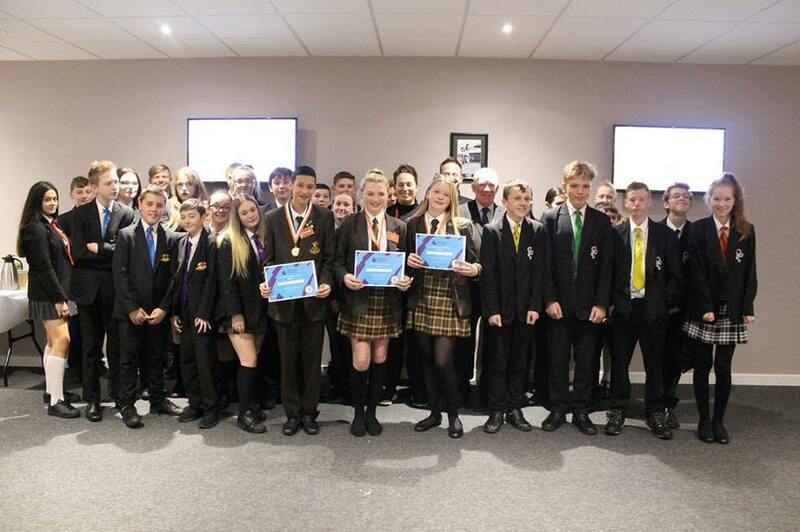 31 participants then visited Bloomfield Road Stadium on Tuesday 27th November to present their ideas in front of a judging panel comprising of heads of local businesses and CEO’s to see who was the most successful in fulfilling the brief. The competition was the best to date, full of amazing ideas and extremely well put together presentations. All teams should be proud of their contributions and the Trust would’ve been delighted to progress with any of the teams from this year’s heat. Every participant has been very successful in further developing a selection of life skills that will benefit them going forward in interviews and social situations etc. they were also offered tickets to watch a Blackpool FC Home fixture as a very well deserved thank you for all of their hard work and dedication. That being said, only one team can progress, and after a lot of deliberation the judges decided that winners of the Club Heat, and representing Blackpool FC Community Trust in the next stage of the competition are the team of four from Baines School. The team will now head to one of six Play-Off events held in Premier League stadiums across the country, where they will compete for the chance of heading to the Final in London in March 2019 and presenting their ideas to a panel of judges from the world of football and business. Wish us Luck!